I have added a page on Margo Meyer. 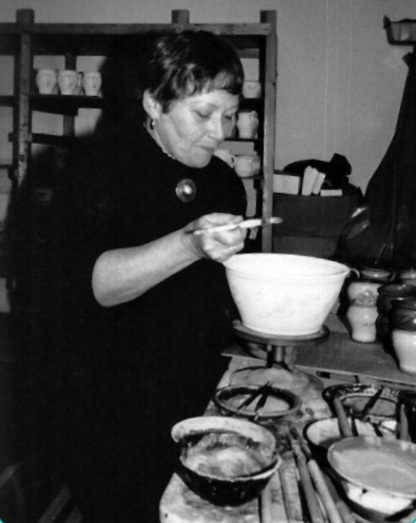 She has been called “the matriarch of functional ceramics” in Newfoundland and Labrador. Her knowledge, skills and tenacity shaped the existence of studio pottery in the province today. Although she sold her works across Canada her desire for privacy kept her below the radar of many collectors and galleries. Enjoy reading about her life and viewing a brief slide show on her work. This entry was posted in Ceramics and tagged Canada, Margo Meyer, Newfoundland and Labrador, studio pottery on November 3, 2015 by Barry Morrison.